Since her days as a high school basketball prodigy in Georgia, Maya Moore has understood how important her faith was to her life. As generational as her talent was, and still is, she has always known it wasn’t the only thing in her life she wished to be defined by. And on Tuesday, one of the greatest players in the history of women’s basketball took an unprecedented step to prove it. In a piece she authored for The Players Tribune, more announced she will bypass the 2019 WNBA season in order to focus exclusively on her family and the development of her faith. For as long as it’s been in business, the WNBA has seen its stars take seasons off to rest, heal injuries and deliver children. This is the first time one of their superstars has opted out to renew the substance of her life. “My focus in 2019 will not be on professional basketball, but will instead be on the people in my family, as well as on investing my time in some ministry dreams that have been stirring in my heart for many years,” wrote Moore. This decision is not to be misinterpreted. Moore, who is only 29, does not intend to retire. 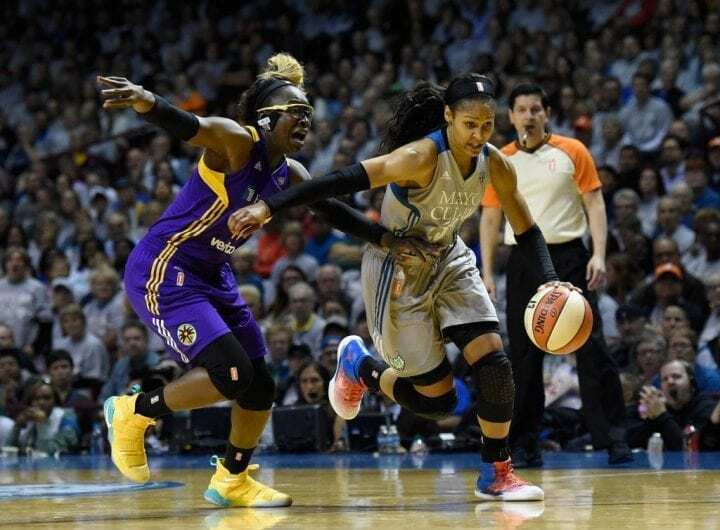 In fact, she has already signed an extension with the Lynx, the team that made her the first overall selection in the 2011 draft after her sensational career at UConn. Frankly, there is not much left for her to do as a professional basketball player. She won regular season and WNBA Finals MVP awards. 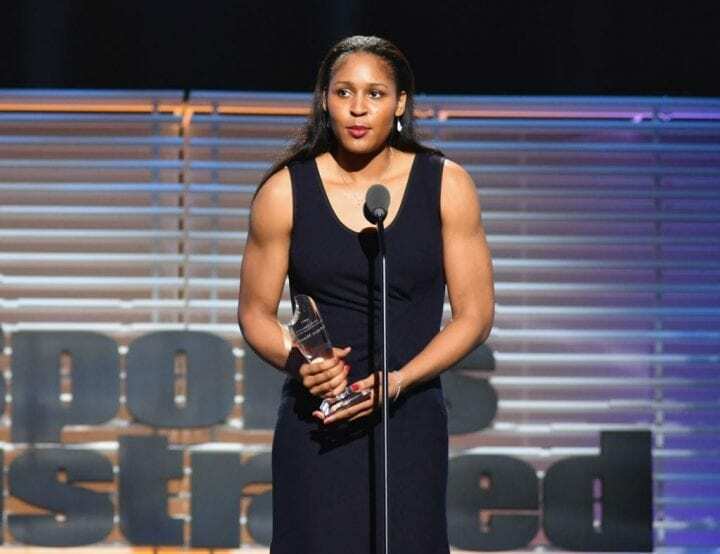 She is a two-time NCAA champion, a four-time WNBA champion a five-time All-Star and a two-time Olympic gold medalist. Playing for Hall of Fame coach Geno Auriemma at UConn, Moore was the nation’s first four-time, first-team All-American and a two-time national player of the year. And she is still the leading scorer in a program that has produced iconic players such as Rebecca Lobo, Sue Bird, Diana Taurasi, Tina Charles and Breanna Stewart. While the summer will focus on her faith, Moore will also benefit from it physically. But her coach, Cheryl Reeve, believes that’s not why she is doing it. “There’s so many stops and starts and pulls of Maya’s time that she got to this place where she said you know I’ve tried everything and this is really important to me and she did not feel like she was living her truest life and her fullest life,” said Reeve in a radio interview in Minneapolis. “Just really kind of had the mindset that I need to do this, I need to try this, and let’s figure out in this path of how we can kind of bring it back together. So she needs to go explore that, and we’ll support her in every way possible. Since it is a business, the Lynx had to work with Moore to make her wish come to fruition. They assigned her the club’s core designation – think NFL franchise tag – which will keep her on their roster. They expect her to be back for the 2020 season, but Moore has already made a significant among of money playing overseas in Asia and through her marketing association with the Jordan brand. If there is one complicating factor in all of this, its that rumors have been swirling that Moore was thinking about leaving Minnesota. There was a report on a local television station that said so. It implied she might ask for a trade or sit out the season to force her team’s hand. “I’m very, very confident and sleep well knowing the relationships that I have with all of the players,” Reeve told Barreiro, “and certainly feel strongly about the relationship I have with Maya. If you have stood in line for one of Moore’s autographs, you’ll see that she always includes a reference to her favorite biblical passage from Colossians 3:23. That’s really all you need to know about her. A nicer person has never played the game.